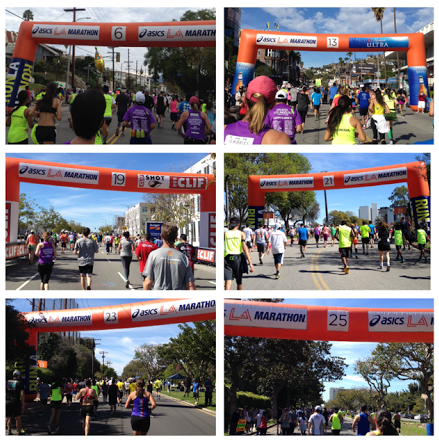 TNT, LA Marathon and Me! Wow! It’s the day after my first 26.2 mile run. I pushed myself harder than I would have ever thought possible but I did it! Why I Ran A Marathon? Moving to the west coast 2.5 years ago was a big life change for me. I love it here! I’ve always been athletic and enjoy exercise. When I moved here I immediately joined the local gym. A month later I canceled my gym membership. I would go to spin class and look out the window at the beautiful weather and the ocean and wonder why I was in a sweaty, hot, enclosed room. I wanted to be outside. There is nothing better than a Southern California day by the ocean. No more gyms for me, I’d move my exercise plan to the outdoors. Running became my go to activity. Three blocks from my house puts you on the oceans doorstep with walking and running paths for miles up and down the Pacific. I can’t even express the joy I feel running along listening to the waves crash, the kids playing in the sand and seeing the blue skies making the world sparkle. It has become a kind of meditation for me. Along the way I started seeing many running groups, Team in Training being one of them. Dustin had done a bike ride with Team in Training years ago and spoke very highly of the experience. I was feeling so fortunate and blessed with life that I felt I had a responsibility to do something to give back and support people who were struggling. Some research on Team In Training quickly confirmed this was a group I believed in with a cause that is so important. Since its beginning in 1988, more than 625,000 participants have helped TNT and The Leukemia & Lymphoma Society (LLS) raise more than $1.4 billion to help beat blood cancer. My LA Marathon team collectively raised well over $100,000. 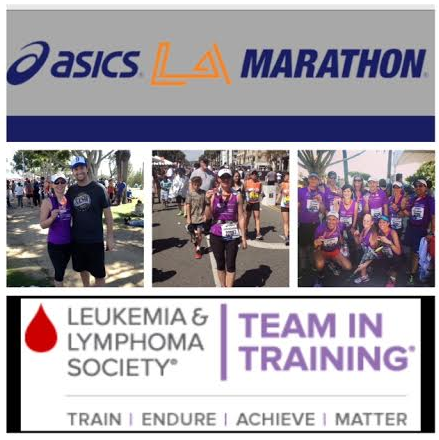 In exchange for training and support, TNT team members help raise money towards cures for blood cancers like leukemia — the No. 1 disease killer of children — lymphoma and myeloma. How serious is blood cancer? Every four minutes, someone new is diagnosed with blood cancer. Every 10 minutes, someone dies. This is an amazing organization that is saving lives everyday. I’m so honored to now call myself an alumni. Training started about 90 days ago. Sunday’s have now become known as “Sunday Runday”. The plan is pretty simple, 2-3 midweek runs and a long run on Sunday. The weekly miles ramped up from 10-15 to a peak of 30. The longest distance I ran before the marathon was 20 miles and I ran that only once. The coaches kept saying if you train your body to get you to 20, your head will get you to 26.2. At the start of the LA Marathon. Marathon day started at 3 am (which because of Daylight Saving time was actually 2 am). By 4 am I was on a bus leaving Santa Monica heading to Dodger Stadium. The only way back home now was to run this race! 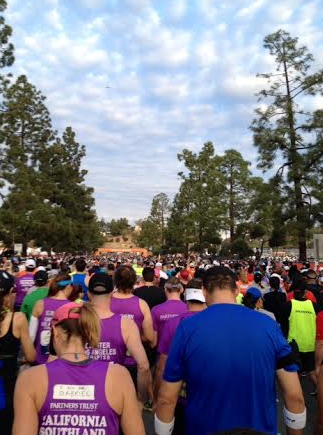 At 7:30, I was amidst the largest crowd I think I have ever been in moving towards the start line of the LA Marathon. OMG! The miles started clicking by one by one. The cheering, the bands and my running friends were awesome. One of the amazing TNT coaches had encouraged us to live in the moment during the race. Don’t think about the miles ahead or the miles behind just enjoy the moment. Along the run I tried to soak everything in. I got lost in thought as I passed the many historic landmarks thinking about all the crazy things that have happened in this town! You’ve probably heard of “the wall”. It’s famous in running circles as that stage of a race where you just don’t think like you can go on. I hit the wall around mile 19. It took me 4 miles to get over that wall and to the other side. It was pretty awful. As luck would have it, race day brought beautiful beach weather to LA. Normally this would make me smile but by the middle of the race it was already up over 70 degrees, by mile 19 it was around 80 degrees of blistering, beautiful California sunshine. The Miles Flew By Until I Hit The Wall! was going to lose an organ. I’m not even over exaggerating and I’ll spare you more details. Let’s just say it was rough. I just kept pushing. I kept thinking of all those people I’d met who had shared their story with TNT who were battling cancer. Parents who lost children, daughters who said goodbye to their Dads, husbands who lost their wives… So many people overcoming such incredible loss. One step at a time… now is when I needed to run with my head and my heart. My body would just need to follow direction. And it did. I slowly made it over the wall. Mile 23 was when I knew I was going to make it. Mile 23 put me back in Santa Monica and it was all down hill to the finish line. I had run this route dozens of times. I knew every step of the way. I started counting down the blocks… 17th Street, 14th Street, Lincoln Ave., 3rd Street and finally the turn on to Ocean Ave. The last mile is right along the ocean. I got this! This has been an amazing experience. I’m so proud to be part of TNT. This organization does so much good for people. The coaches and mentors were amazing. My teammates were awesome and will be forever friends. Every dollar raised brings us closer to finding a cure and finally beating cancer. I’m fortunate and proud to play a role in that goal. Will I Run Another Marathon with TNT? re: Will I Run Another Marathon with TNT? Haha! So when’s the next one? Awesome reading your race recap. I bet the later miles were brutal, but hey, YOU MADE IT! 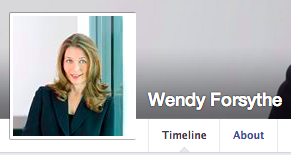 Congrats Wendy! You really are a running rockstar! I know you’re hurting a bit today, but you’re definitely an inspiration to many! Congratulations on completing the marathon!! Such an accomplishment and I loved reading the post. Looks like it was an amazing event! Way to push through it! Congrats! Awesome! Proud of you, Wendy! I’m running my first marathon on June 21. Can’t wait! Jay, that’s great! You’ll rock it! I’m happy to share some insider tips with you! The learned so much from the great coaches with Team in Training. I don’t think I would have made it to the finish line without their guidance along the way. The best way I can honor their commitment is to pay it forward, which I am happy to do! Well done…great effort. I have sent your race report to my daughter who is running her first marathon next month. Good luck with future running. Thanks Joh and please wish your daughter good luck for me! I’m sure she’ll do great!